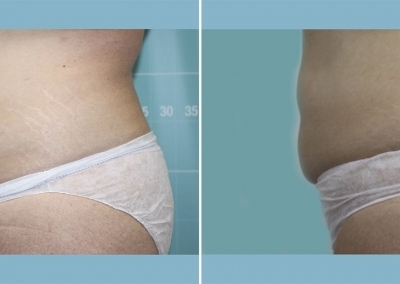 Cooltech is a non-invasive treatment for remodelling and contouring localised pockets of fat on the body. 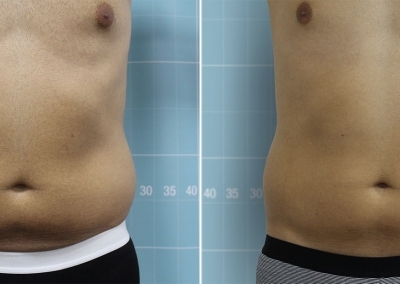 It uses a cooling process to permanently destroy fat cells without any damage to the surrounding tissue, and with its 6 different applicators designed to fit all shapes and sizes it is able to transform any body. These accessories work at temperatures between 3 and 8 degrees celsius in order to adjust to the different target areas and temperatures required to blast the fat in different thicknesses of fat folds. 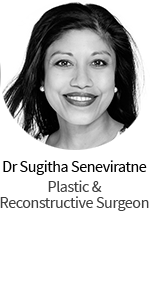 The Cooltech system is available in aesthetic clinics in over 40 countries around the world and over million patients have had the treatment. With a satisfaction rate of over 95%, results are seen in as little as 15 days after the treatment. 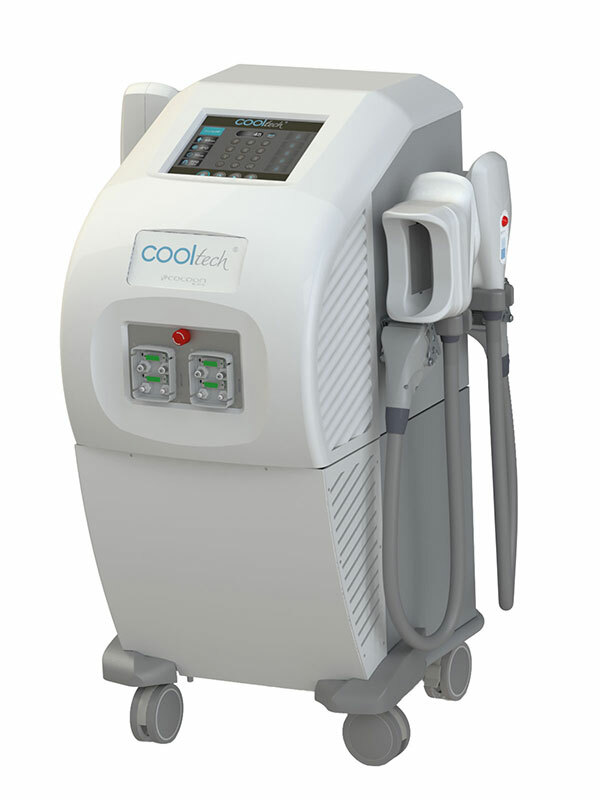 Cooltech fat freezing is perfect for anyone frustrated with stubborn bumps, bulges and lumps and are looking for an effective way to remove them without surgery and the associated pain and risks. Cooltech treatments have no needles, no incisions and no downtime. It is an easy treatment that allows the patient to resume normal daily activities immediately afterwards. Q. How many treatments do I need to have to see results? A. It is suggested that for the most remarkable results the maximum number of sessions required is three for each area. Q. How long until I can expect to see results of the treatment? A. 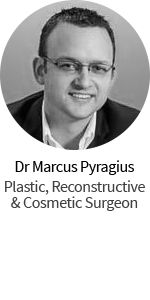 Patients can expect to see 20% – 30% fat reduction in the treated area after one treatment, and results are seen in as little as 15 days. Optimum results will be visible after 8 weeks. A. None. You can resume your normal daily activities immediately after treatment. A. Between 50 to 70 minutes for one session, depending on the area you are treating. Your practitioner will give you an indication of how long they expect it to take. Q. How does the Cooltech procedure work? A. Cooltech freezes fat cells to the point where they crystallise and die. They are then gradually eliminated by the body’s natural metabolic processes. Cooltech destroys fat cells, whereas dieting will only shrink them, so they can increase in size again. 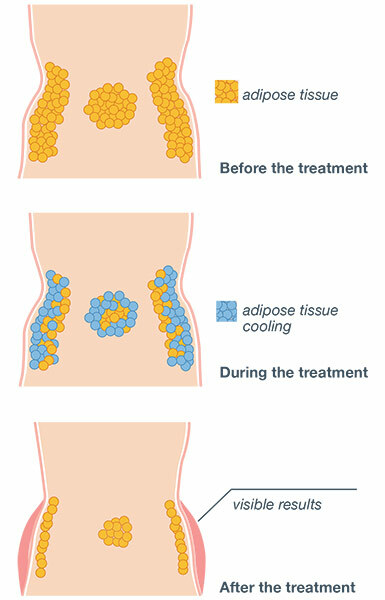 Fat cells that are removed from the body through Cryolipolysis have a very low chance of returning. Q. Is Cooltech right for me? you have upper arm or inner thigh fat deposits. Note: Cooltech is not generally advised as a treatment for weight loss. If you are underweight or highly overweight, Cooltech is not recommended. Also, if you have achieved massive weight loss and have excessive loose skin not filled with fatty deposits, Cooltech is not appropriate.